This is a part-time position. Your hours will vary from week to week. We operate on 13, 4-week cycles. Generally speaking, during week one of a cycle, you may get as many as (vary by territory) hours depending on the volume of work and size of your territory. During the other 3 weeks of a cycle, you could have a range of anywhere from (vary by territory) hours a week depending on how many scheduled visits to stores you have and how many merchandising jobs come in for a given week. This is a structured job with duties that are to be completed according to a set schedule; however, it does allow the flexibility for you to choose the time of day you wish to perform most of your assigned tasks. In this position, you would be required to perform the following duties: we install ads in grocery and drug stores for our clients and maintain (make sure they are remain properly installed and displayed) those ads for a cycle (4 week period); we install a variety of News America Marketing SmartSource products, such as coupon machines and shelf talk displays on store shelves and shopping carts, and place ads on the floors of retail outlets; and, on the merchandising side of the business, we will do tasks that range from secret shopping, audits, surveys, placing instant redeemable coupon stickers on products, to full-scale resets of store shelves. All of the job duties have a specific time frame for completion. 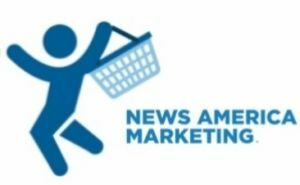 News America Marketing works with many of the world’s largest consumer product manufacturers, and installs advertising in local grocery, drug, mass merchant and dollar stores. Our part-time Merchandisers enjoy flexible hours, a friendly and supportive team, and paid training. To be able to lift up to 25 lbs, stand for extended periods (up to 8 hours), safely drive a car, follow instructions, be polite, amicable and professional and perform repeated bending. Have a reliable, registered, insured form of transportation. Be able to attend an approximately 2-hour meeting once every 4 weeks. Merchandising experience helps but isn't necessary.